SAN JOSE, Calif., June 27, 2012 — Savannah Vinsant of Lafayette, La./Trampoline and Tumbling Express, and Steven Gluckstein of Atlantic Heights, N.J./ETA Gymnastics, will represent the United States in trampoline at the 2012 Olympic Games in London, pending approval by the U.S. Olympic Committee Board of Directors. 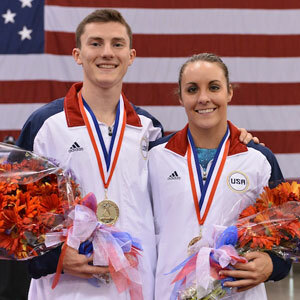 Both won their respective U.S. trampoline titles at the 2012 USA Gymnastics Trampoline Championships at the San Jose (Calif.) Convention Center, which served as the final qualifying event for Olympic selection. "I'm speechless – I have no words for it," said Vinsant, who won all three selection events. "I'm filled with joy and I'm at peace that it's over. I had a big group of girls out there with me this year who were awesome, and they definitely kept me on my toes all year. I'm honored to be representing Team USA." "It's surreal right now," said Gluckstein, who also took top honors at all three selection events. "The greatest thing right now is the relief. I'm the kind of person who puts a lot of stress and a lot of pressure on myself, and it's just been building since we qualified (for the Games) in January. "We have such an amazing team with all the finalists here," said Gluckstein, "and I knew it was going to be tough, but my dream is coming true and right now I'm ecstatic." 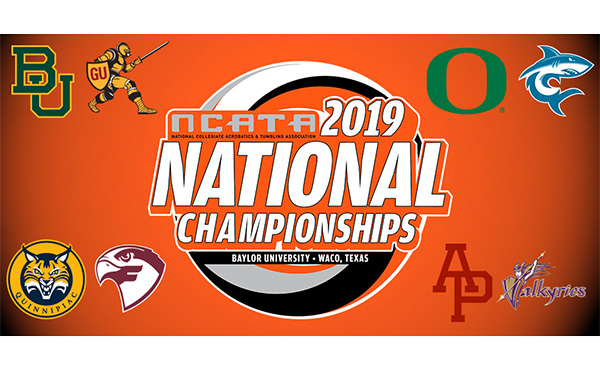 Earlier in the day, the men's and women's teams of Michael Devine of Winnebago, Ill./J and J Tumbling and Trampoline Team, and Jeffrey Gluckstein of Atlantic Heights, N.J./ETA Gymnastics, and Landry and Alicia Powder of Ladera Ranch, Calif./World Elite Gymnastics, earned this year's synchronized trampoline national titles. 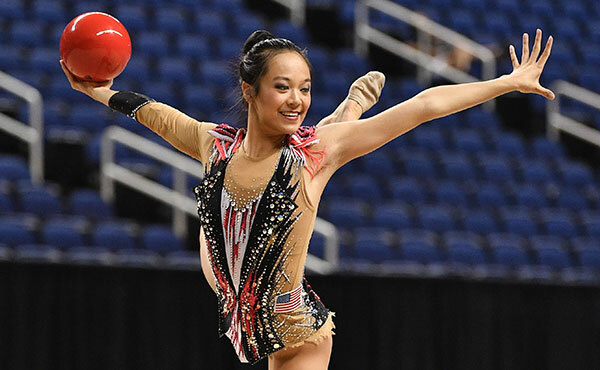 Vinsant won the U.S. title after scoring a 53.140 for her routine in the finals and posting a 153.195 total, which clinched her ticket to London. Shanelle Landry of Lafayette, La./ETA Gymnastics, was second at 149.655, followed by Dakota Earnest of Plains, Texas/Acrospirits with a 148.880. Gluckstein won the men's title with his 56.355, sealing his Olympic berth. 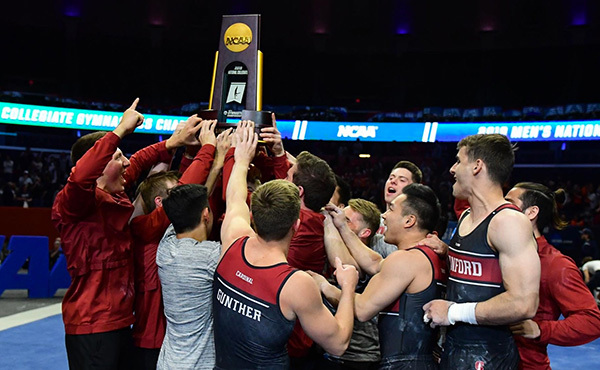 Logan Dooley of Lake Forest, Calif./World Elite Gymnastics, was second with his 56.150, followed by Jeffrey Gluckstein of Atlantic Heights, N.J./ETA Gymnastics, in third at 55.105. 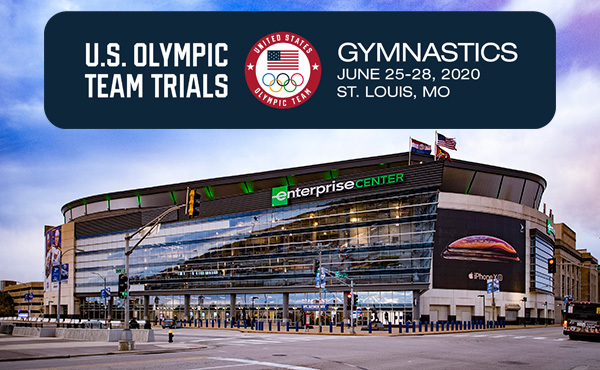 The USA Gymnastics Championships was the third and final event in for ranking competitors to determine the men's and women's Olympic slots. Of the three competitions, which also included the Elite Challenge and Stars & Stripes Cup, the lowest point score was dropped for each competitor when figuring total score. 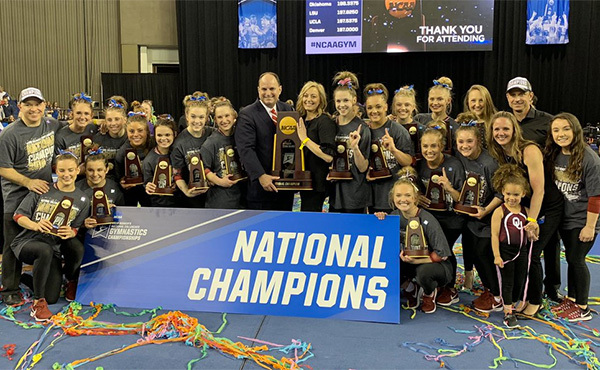 In synchronized trampoline, Landry and Powder won the women's final with a 137.900, defeating Audrey Ghanian of Holmdel, N.J./ETA Gymnastics, and Deana Parris of Burtonsville, Md./Fairland Gymnastics, who finished at 106.800. Devine and Jeffrey Gluckstein earned a 137.900, followed by Steven Gluckstein and Dooley at 130.900. 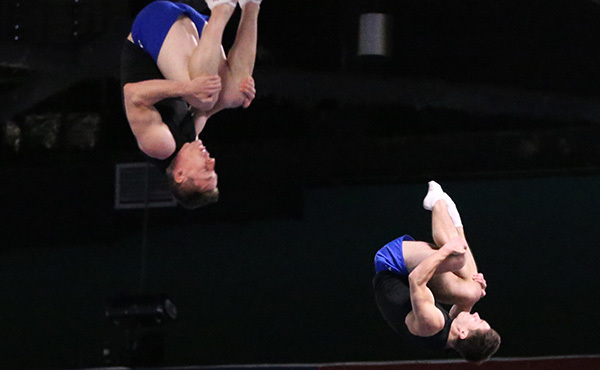 Hunter Brewster of Lafayette, La./Trampoline and Tumbling Express, and Neil Gulati of Irvine, Calif./World Elite Gymnastics, were third at 89.800. San Jose Convention Center. 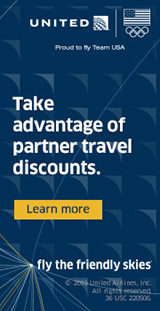 The San Jose Convention Center offers plenty of versatile space: 143,000 square feet of column-free exhibit space; room for 1,000 10' x 10' booths; a 22,000-square-foot ballroom; 100,000 square feet of pre-function space; 31 meeting rooms with capacities from 50 to 2,400 in theater-style seating; and banquet seating and kitchen facilities for 5,000. The convention center was the site for the 2007 USA Gymnastics National Congress and Trade Show and the rhythmic gymnastics competition for the 2007 Visa Championships.